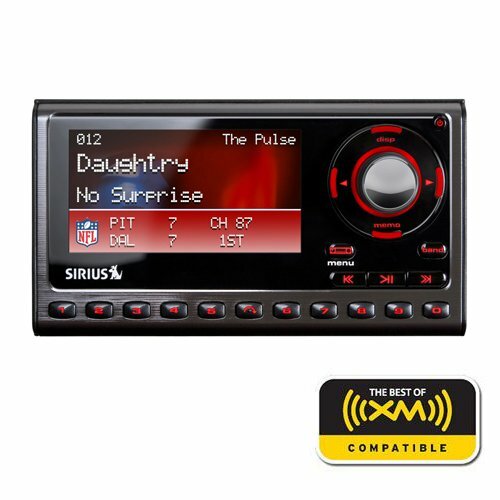 SIRIUS Sportster 5 has advanced features, like alerts and tickers for the latest sports and scores, plus a bright, full-color display with selectable background colors to match the vehicle dash lights. 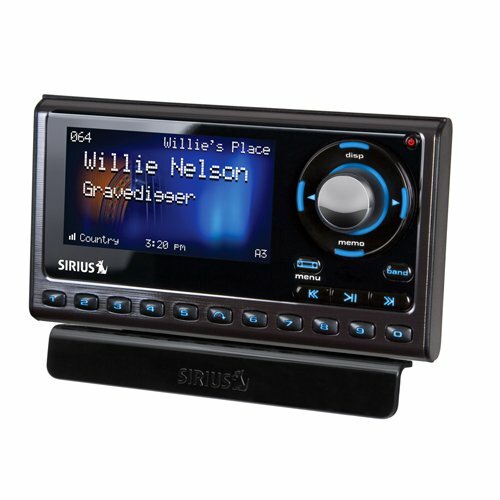 Features: •Easy to Install: Revolutionary SIRIUS|XM PowerConnect FM Transmitter works through the vehicle's radio with easy Do-It-Yourself installation. The color coded vehicle dock makes it simple to connect. •Large, multi-color display: Easily view artist, song and channel information. 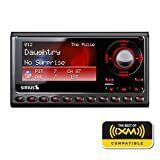 •Selectable display background and text colors: Choice of 15 different color combinations to match the vehicle dash lights or the mood. •Enhanced real-time program guide: Ability to browse programs, artists and songs playing on other channels without having to change the channel. •Pause & Replay: Pause, rewind and replay up to 60 minutes of live radio. •Favorite channels: Save and enjoy fast access to up to 30 favorite channels. •FM preset key: Easy and quick tuning for optimal PowerConnect performance. •S-Seek Alert: Don't miss your favorite artists, songs, sports teams and drivers when they're on live radio. •Sports Alert: Delivers real-time scores and updates of your favorite sports, teams and drivers, plus alerts when they're playing. •One-Touch Jump: Direct access to traffic and weather conditions of the 20 most congested cities, or to access a favorite channel. •Parental Controls: Easily lock and unlock channels with mature content. •Includes complete PowerConnect Vehicle Kit: Universal docking capability - add accessories for the home, office or additional vehicles. Easily view artist, song and channel information.